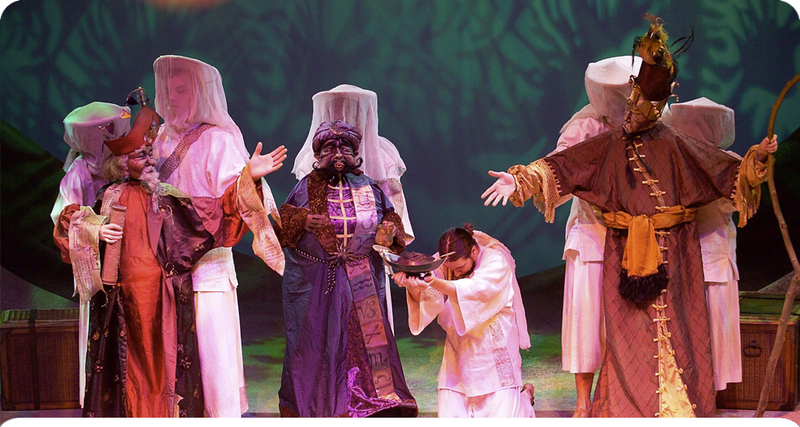 The Fourth Wise Man—Adapted for the stage by Kathleen Gaffney and Tom Fontana. From the screenplay by Tom Fontana. Based on the story by Henry Van Dyke. Directed and Choreographed by Christopher Eaves. In this world premiere production, Artaban, a prominent magi, searches for years to find the Messiah, but misses Him at every turn, stopping along the way to use his gifts to help people in need. This heartwarming holiday story examines the true meaning of faith and will dazzle your family with its inventive artistry. Puppets and Wardrobe by Michele Costa. Scenic Design by Donald Eastman. Lighting Design by Stephen Quandt. Original Music by Bob Volkman.